Our star dominates the environment within our Solar System. Unpredictable and temperamental, the Sun has made life on the inner planets impossible, due to the intense radiation combined with colossal amounts of energetic material it blasts in every direction, creating the ever-changing conditions in space known as ‘space weather’. 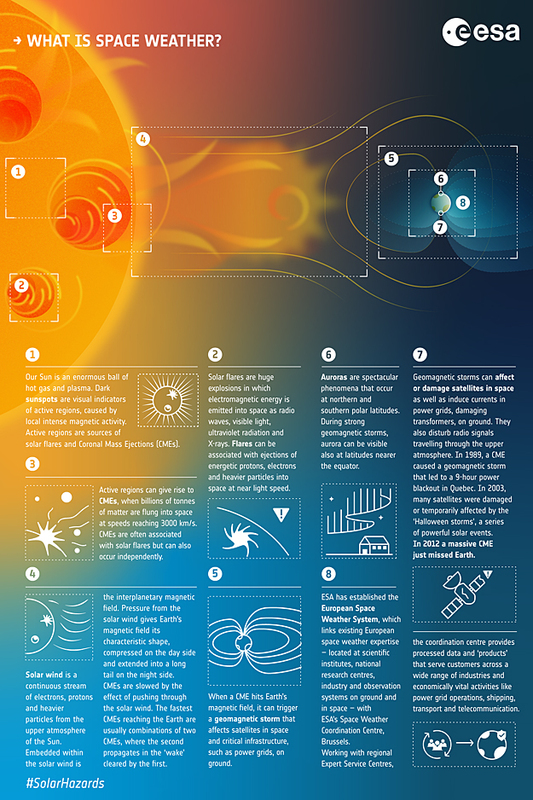 Find out about the different elements of space weather in this new infographic, from the solar wind, to solar flares and coronal mass ejections.